The Law Office of James A. Nofi, LLC, is dedicated to providing clients with quality legal representation in a creative and cost-efficient manner, while adhering to the highest ethical standards. Broker-dealers, investment advisory firms, and the persons associated with those entities work in one of the most highly regulated industries in the United States. 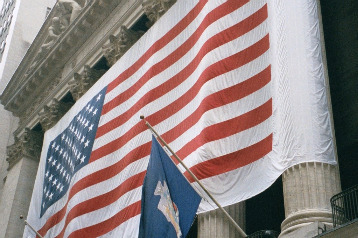 You are subject to laws and regulations enacted at the federal and state level and are subject to regulation and inspection by entities such as the Securities and Exchange Commission(SEC), the various state securities commissioners in the states where you do business, and the Financial Industry Regulatory Authority (FINRA) if you are a broker-dealer. You are also subject to various registration requirements both at a national and/or state level. Your written policies and procedures, especially the ones relating to supervision, must be continually updated and must be tested to insure their effectiveness. Your compliance manual must adapt to the frequent changes in regulatory requirements. Your advertising and communications with the public must comply with a myriad of regulations. You might uncover some troubling conduct and need to conduct an internal investigation of that matter. If, unfortunately, the regulators or self-regulators decide to open an investigation of either your firm or individual brokers or advisors or bring a disciplinary proceeding, then you will certainly need the help of an attorney with expertise in handling such investigations and proceedings. At the conclusion of such a proceeding, you may need to hire an attorney to conduct a procedural review mandated by a regulatory settlement. When a broker changes jobs, you raise a host of issues in which you will need legal representation. You may have to repay a promissory note, negotiate a settlement with possible limitations on your future activities, and you have to ensure that you receive all the deferred compensation that you are entitled to, including any bonuses you have earned. Broker-dealers, investment advisory firms, and business of all sizes need to manage their relationships with employees. All such entities must have appropriate employee manuals and contracts of all types, including employment agreements and severance agreements. If you need to bring a lawsuit to protect your rights or defend one brought against you, you need an experienced trial lawyer to protect your rights in business, commercial, securities, ERISA, and employment litigation or arbitration. At the Law Office of James A. Nofi, LLC, I understand your concerns and provide the full range of solutions to clients in the areas of securities regulation, employment law, arbitrations,and civil litigation.